The ‘Hotel & Travel Brands Quiz’ from Hotel Speak launched in July 2016 and ended in September 2017. During this time, a total of 446 people completed the quiz and we thought it would be fun to take a look at the results to see just how well participants recognised the hotel and travel brands featured. See also – Hotel Language Quiz! Of the 446 who completed the quiz, the average score was an impressive 60%, with an average time spent on the quiz of just under 3 minutes. 51% of participants recognised UK Hotel chain Travelodge’s logo, despite missing text. 39% of participants knew Citizen M’s brand tagline, ‘welcome to a new kind of hotel’, impressive for a brand that’s still under 10 years old. 73% of participants knew that Mercure, Novotel and Sofitel were brands owned by AccorHotels. Illustrating the recognisability of colour and shape within a logo, an impressive 83% of participants recognised Best Western‘s old branding, despite the majority of the logo being distorted. A particularly challenging question, only 35% of participants correctly guessed the colour of the owl’s eyes in TripAdvisor’s logo – one red, one green. Highlighting the importance of font within a logo, 57% of participants correctly guessed Hilton’s logo, despite 4 very similar versions presented. Worryingly, 1% guessed that their logo used the ‘Comic Sans’ font! The importance of iconography within a logo was illustrated by 46% of participants correctly answering that Premier Inn is the hotel chain that features a moon and stars within their logo. Principal Hayley hotels were perhaps right to rebrand to ‘Principal Hotels’ in September 2016; only 30% of participants correctly guessed what the PH in their logo stood for, with 36% guessing ‘Prime Heritage’. 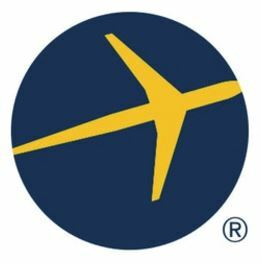 Transcending the importance of iconography and illustrating the brand recognition of one of travel’s biggest brands, 85% correctly identified Expedia’s logo featuring a aeroplane, despite 3 other answers featuring a very strong association with the airline industry. Again, illustrating the power of a well-established and global brand of over 80 years, 86% of participants correctly guessed the Sheraton brand from a simple ‘S’ surrounded by a crest. 3. Mercure, Novotel, Sofitel… are all brands owned by? 5. 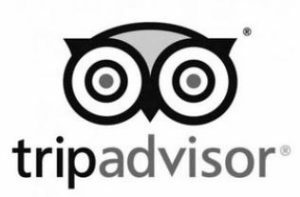 What colour are the owl’s eyes in the TripAdvisor logo? 6. Which is the correct logo for Hilton Hotels & Resorts? Only 57% correctly guessed – the far left logo. 9. 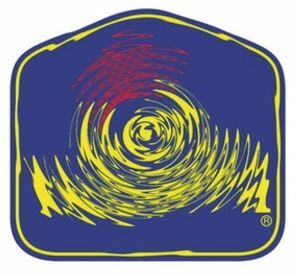 What travel brand uses this logo? 10. 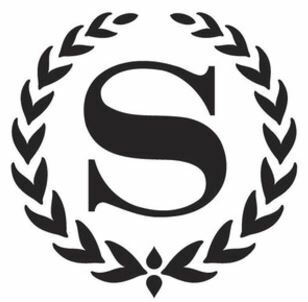 Which hotel brand incorporates the S below?